Tremper Longman III (PhD, Yale University) is the Robert H. Gundry Professor of Biblical Studies and the chair of the religious studies department at Westmont College in Santa Barbara, California where he lives with his wife, Alice. He is the Old Testament editor for the revised Expositor's Bible Commentary and has authored many articles and books on the Psalms and other Bible Studies. 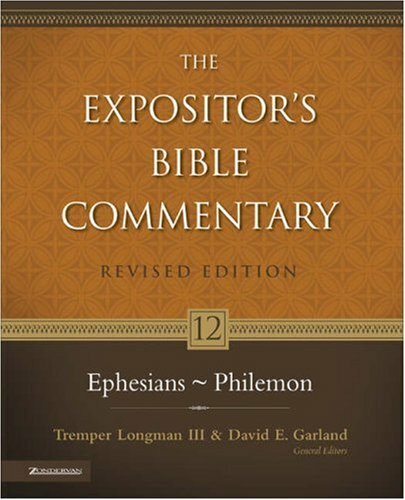 consulted on several recent Bible versions, serving as chief exegetical consultant for the New Testament portion of The Message. Andreas Kï¿½stenberger is Senior Research Professor of New Testament and Biblical Theology at Southeastern Baptist Theological Seminary in Wake Forest, North Carolina. He is the author of numerous works on John, including his commentary in the Baker Exegetical Commentary on the New Testament series, 'John' in Commentary on the New Testament Use of the Old Testament, and "John" in Zondervan Illustrated Bible Backgrounds Commentary.